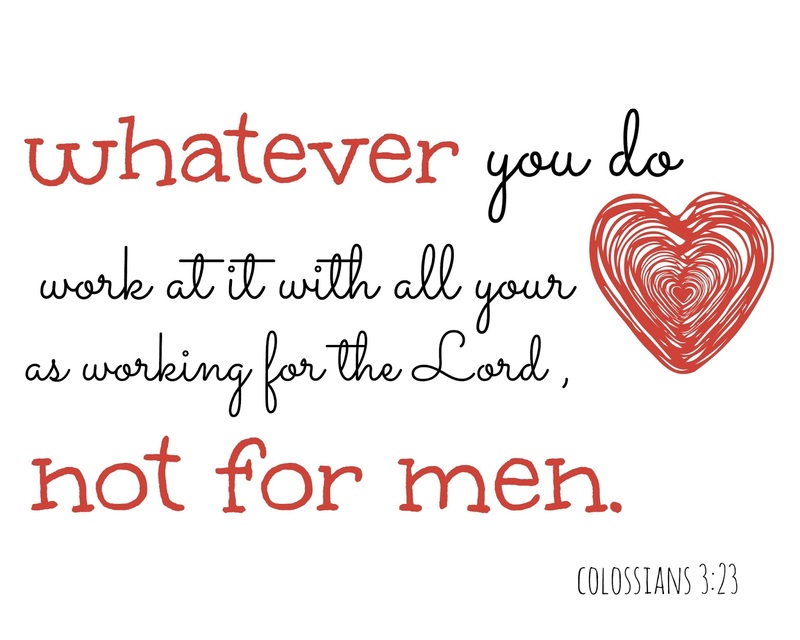 As a mom teaching kids to do chores, this verse resonates with me quite often! It's also a great reminder for us as we prepare to serve. Volunteering and serving is so very important to me and our family, and this is a great verse to remember while in the trenches. Feel free to right click on the image below, save it and print it. As always, this is a free printable that is for personal use only.